Once, while landing a plane in Calgary, Rosella Bjornson radioed the tower and was mistaken for a misbehaving stewardess. The year was 1974 and Bjornson was the only woman in North America working as a commercial pilot. Back then that seemed a typical day on the job for Bjornson, a trailblazer in the aviation industry. 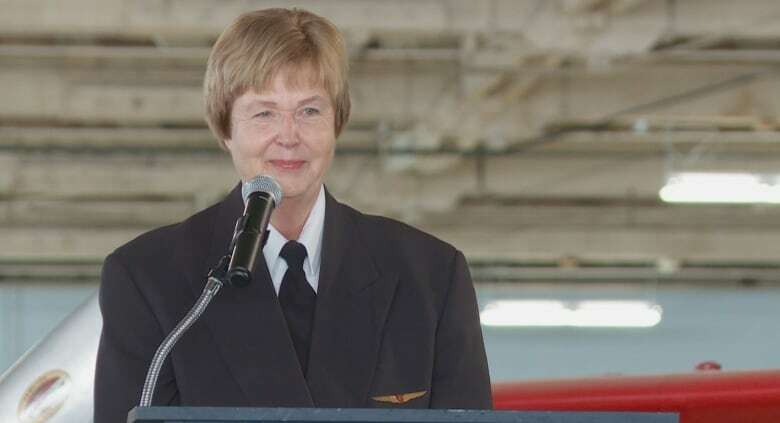 Bjornson, 71, was the first woman hired as a commercial pilot in North America, and the first female member of the Canadian Air Line Pilots Association, International. On Thursday, she will receive the Alberta Order of Excellence in a ceremony at Government House, an award honouring her achievements in the industry and a lifetime spent advocating for the advancement of women in aviation. Bjornson decided she wanted to become a professional pilot in the early 1950s, when she was a little girl. Her father, who served as a pilot in the Second World War, would sit Bjornson on his knee fly in his Cessna 170 over the family farm near Lethbridge. Though female pilots were unheard of, Bjornson never had any doubt she was capable. “I flew with my father. He had a little airplane on the farm and I thought that was so cool and I wanted to do it, too,” she said. When she found a brochure from Air Canada that said they preferred pilots with post-secondary education, she enrolled at the University of Calgary, ignoring the high school guidance counselor who scoffed at her career aspirations. Undeterred, she continued training for her full certification, and in 1973 was hired as a co-pilot by Transair. In 1990, while employed by Canadian Airlines International, she was promoted to captain — another first for Canadian women in aviation. Before retiring in 2004, she worked for other airlines, including Pacific Western Airlines, Zip and Air Canada. An inductee in Canada’s Aviation Hall of Fame, Bjornson has also been recognized by Women in Aviation International Pioneer Hall of Fame and won a National Transportation Award of achievement. She was part of the successful lobby effort to change Transport Canada regulations to allow female commercial pilots to continue flying while pregnant. She still flies often, taking off from her home outside Sherwood Park, which has a hanger and a registered runway in the backyard. She continues to advocate for women in aviation. The situation has improved but the cost of training, steep competition and a lack of awareness has kept women a minority in the industry, she said.